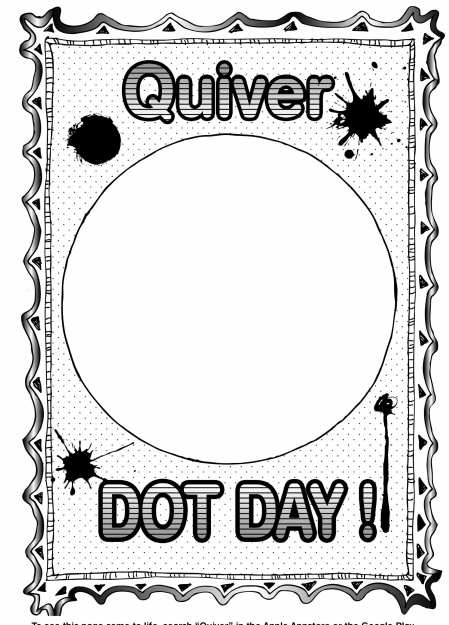 International Dot Day is based on the book The Dot by Peter Reynolds. It is about making your mark on the world. 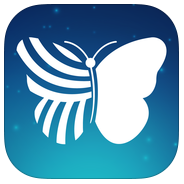 Educators and students from all over the world connect to share projects or ideas based on this book. 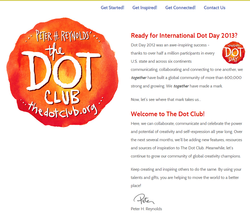 The video animates the book The Dot by Peter Reynolds. What is the message that the book is sharing? 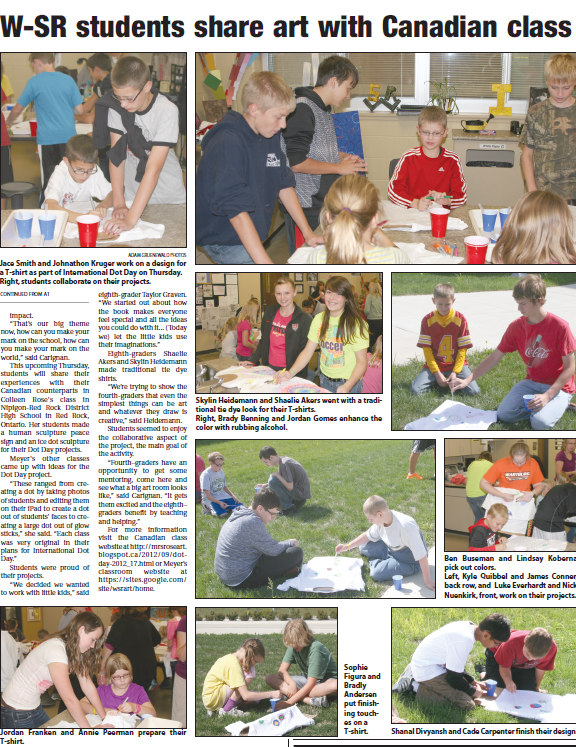 4th Graders at West Cedar teamed up with 7th graders to complete the following projects that combined National Day of Service & International Dot Day! Connecting with Colleen Rose from Canada & Jake Jacobs from New York! Check out Mrs. Rose's blog post here! 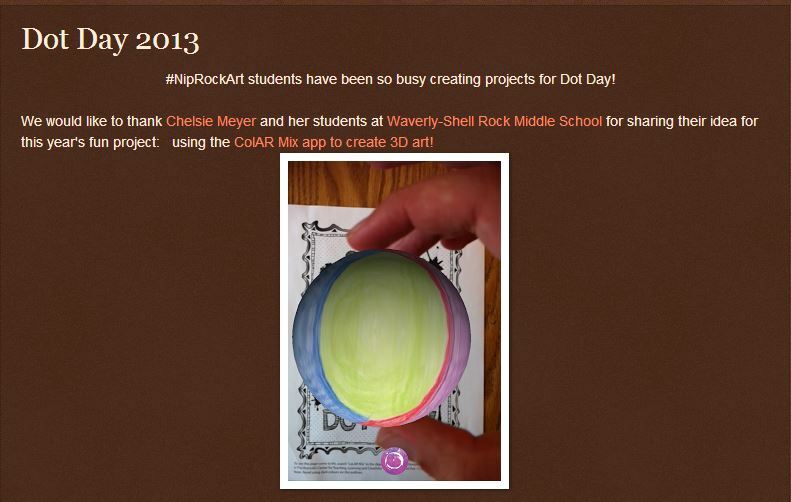 This video showcases what each GR8 team class completed for International Dot Day 2012! Students then connected with Mrs. Carignan's 4th grade class as we made t-shirts. 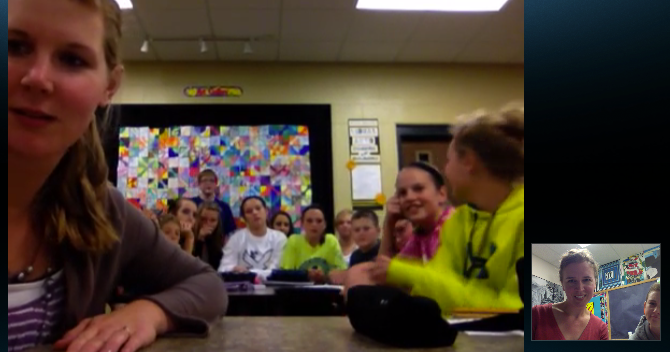 We also Skyped with Mrs. Rose's high school students to talk about our dot day experiences. 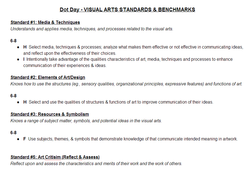 Click on the image to check out the International Dot Day website full of ways to get started, get inspired, and get connected!